The TRADE > News > Seeing clearly at last? After spending much of the last few years trying to understand rules and regulations introduced since the onset of the financial crisis, market participants are hoping that 2012 will provide much-needed, actionable detail. Regulatory change is always on the agenda these days. What’s so different about 2012? The key word is clarity. Since the onset of the financial crisis in the third quarter of 2008, regulators, governments and financial institutions have been busy devising and evaluating new rules to reduce systemic risk and improve investor protection. 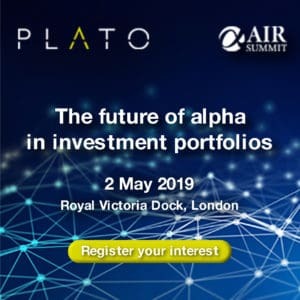 The outcome of the rules will lead to unprecedented changes to the way the buy-side, sell-side and market infrastructure operators go about their business. The broad intentions of the new regulations are obvious. For example, MiFID II and the European market infrastructure regulation (EMIR) will impose significant changes to equity and OTC derivatives trading and clearing in Europe, the pervasive Dodd-Frank Act in the US will also overhaul the country’s derivatives market and will ban proprietary trading by deposit-taking institutions among a series of other measures, while Basel III seeks to shore up banks’ capital reserves. In 2012, it is the minutiae of these new rules that will be closely watched, as firms attempt to determine their impact on costs, revenues and workflow. What should we know by the end of the year that we don’t know now? Market participants in the US and Europe should have more transparency on the implications of OTC derivatives reform. The new regulations will require asset managers to post an initial margin to cover their exposures; something that was not previously required under the bilateral process typically used for swaps trades. The initial margin must also be of a good enough quality to be accepted by clearing houses – currently cash or high-grade government bonds – meaning further investment in technology and services will also be required in order to manage this process efficiently. However, the quality of collateral that will be demanded by clearing houses is still unclear, as is the type of derivative instruments that will fall under the new rules in both Europe and the US. Many sell-side firms are now beginning to realise the lucrative opportunities arising from the new swaps rules such as collateral transformation and consulting services. But the date that the new rules will become effective is still anyone’s guess. EMIR has faced delays as European legislators attempt to determine the role that the European Securities and Markets Authority (ESMA) should play in governing clearing houses. Another EMIR trialogue meeting is scheduled for the end of this month, with a view to finalising the new rules shortly after. Following this, ESMA will begin writing the accompanying technical standards. In the US, Dodd-Frank has been subject to a number of hold-ups that have delayed implementation from the original July 2011 target. Many of the rules – including those related to swap execution facilities, a new category of trading venue created for OTC derivatives, are not set for implementation at the end of this year. What are the most considerable reforms we can expect from MiFID? One of the more significant changes MiFID II looks likely to introduce is a more stringent approach to the rules surrounding broker crossing networks (BCNs) in Europe. 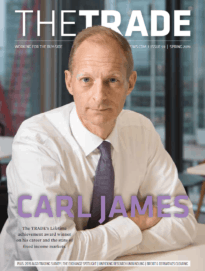 The new rules would make it harder for banks to cut trading and clearing costs by matching trades internally, and will see BCNs formally recognised for the first time under a new trading venue category termed the organised trading facility. Brokers will also argue that a restriction of BCN activity will reduce their ability to deliver best execution to their clients and subsequently increase trading costs. MiFID II could also increase buy-side trading costs via changes to the trade reporting delay regime – which may make it harder to postpone the reporting of large trades to manage market impact – and tougher rules on algorithmic trading. The European Commission has estimated that MiFID II will lead to one-off compliance costs of between €512 and €732 million and ongoing costs of between €312 and €586 million. MiFID II is currently being debated at the European Parliament level, which means the new rules may not come into effect by 2015. There is potential for further constraints to be introduced along the legislative process, including the imposition of minimum order sizes for all dark trades, which the European Parliament has already recommended prior to its MiFID reading. This could lead to the buy-side witnessing changes to sell-side offerings sooner rather than later. What other new rules will be defined or introduced in 2012? The banks will have a better idea of how tough the new environment will be. Basel III will require a minimum total capital ratio of 8% by 2013. A reduction of the available capital on bank balance sheets will undoubtedly have knock-on effects on the services they are able to offer their buy-side clients, such as a reduction in capital commitment. Banks will also have to consider how they restructure their proprietary activities under Dodd-Frank’s Volcker rule, although many large banks including Goldman Sachs and J.P. Morgan have already announced the changes they plan to make. The comment period for the Volcker rule, which has been proposed by a number of US authorities, has been doubled to 60 days to 13 February, with many market participants unhappy at the rule’s reach and complexity. The target date for the start of the Volcker rule is 21 July. So what’s the scope for slippage beyond 2012? It is clear that despite the rhetoric from regulators and governments since the financial crisis, industry reforms have not progressed as far as expect, although this is perhaps understandable when you consider the wide scope of activities that they will impact. The delays that have plagued EMIR, Dodd-Frank and MiFID could continue well into next year. While market participants will hope that the end of protracted regulatory negotiations are in sight, the real work will be in complying with the new rules.